Cream of the crop with tranquil living in Limber Lost Estate. This property has a fresh and vibrant look with all the best finishes. Double volume entrance hall with an amazing chandelier adds to the charm of this family home. From the entrance hall you walk into the large open living area with high ceilings and natural light coming in from the extra windows. The open plan living space consists of the dining area and lounge with the open plan kitchen and separate scullery. On the one side of the dining area is a sliding door leading to the back of the property and stacking doors on the other side leading to the covered patio with a built-in braai and a canvas blind to close for those cold winter evenings. The kitchen has ample cupboard space and has quarts counter tops, fitted gas hob, electric under counter oven and extractor fan. A beautiful center island with a breakfast area makes this kitchen a must for the chef in you. The separate scullery has space for a dishwasher and a front loading washing machine. The back door leads to the back courtyard that has the perfect space for your kitchen garden. To the right of the entrance hall is the passage, taking you through to the three bedrooms and the study / fourth bedroom. The three bedrooms are all fitted with laminate flooring and large built-in cupboards and sliding doors leading to the back garden / Patio area. The main bedroom is very spacious with a large open walk-in / built-in cupboard and spacious full en-suite bathroom with double vanity. The family bathroom is also spacious and fitted with a toilet, large bath, glass shower and basin. The double garage is spacious and has direct access into the property and has automated doors. There is open parking space in front of the two garages, large enough for an additional 2 vehicles. 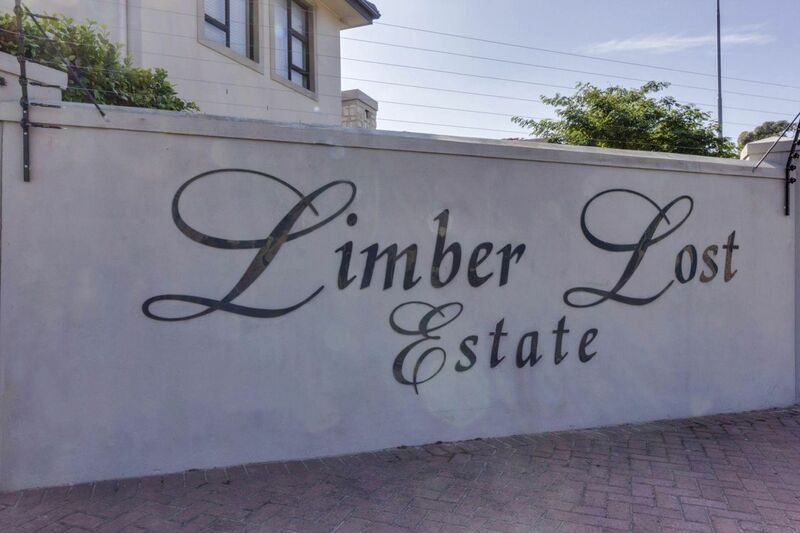 Limber Lost Estate offers safe family living for the security conscious buyer. With special open spaces, parks filled with trees add to the tranquility. Feeling at home and relaxed, this is the perfect place to be. With easy access to the main highways, private schools, shopping centres and Cape Gate Medi-Clinic, this lovely home has it all.